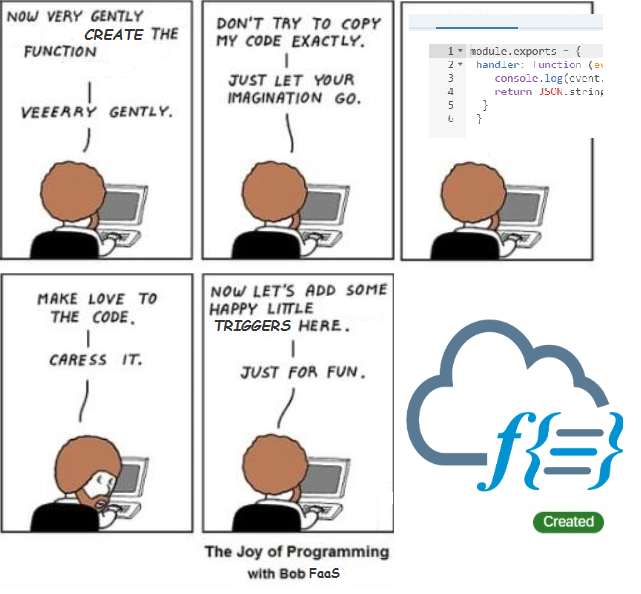 Following the recent announcements at SAP TechEd, I was delighted to know that the support for Functions (that enables serverless computing) is available as Beta in SAP cloud platform. Although FaaS (Functions as a service) has been in the existence already – AWS Lambda, Google Cloud functions etc., it’s adoption into the SAP Cloud Platform is seen as a great welcome gesture! Not only does it add on to the arsenal of features that’s already present, it goes hand-in-hand with the microservices architecture, cloudfoundry adoption and the latest CAP model. Without spending much time describing the stuff, let’s get into some action. There are 3 key things that you should note while trying this out. 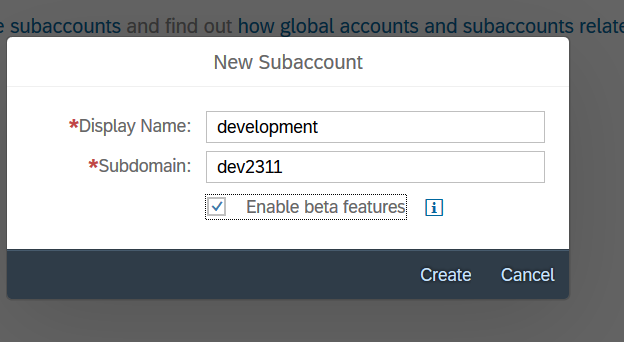 Create a SubAccount with “Enable Beta Features” checked.Functions is still in beta.SAP CP Trial Account is suffice https://account.hanatrial.ondemand.com. In the Global Account, under the “Entitlement” section, make sure you add the quota for the corresponding subaccount. Stick to using node.js core libraries in functions. There is a memory limitation for each function (~500MB), which might be removed in the future. By default, we have one unassigned quota. Once the initial subaccount setup, space creation and quota allocation is done, you can navigate to the Service Marketplace. 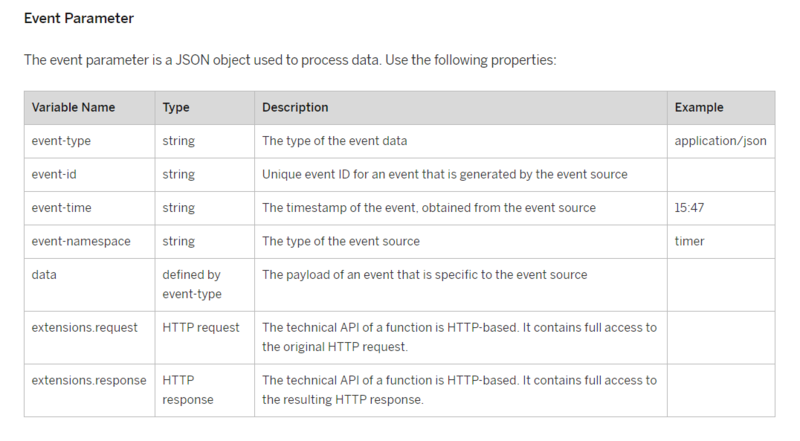 Under the Service Marketplace, you will see Functions. You can create a instance directly from here using Create New Instance button. For now, we are not specifying any external parameters and we skip the optional fields. Provide an instance name. In the upcoming posts, I will explain how FaaS can be created using SAP WebIDE Full Stack as well. Triggers – As the name implies, a trigger is something which invokes the function and SAP CP currently offers 3 kinds of triggers. HTTP – An HTTP url through which the function can be invoked. Timer – Timer lets you schedule function using a cron pattern. For example: This pattern “0 * * * *” executes the function every hour. Secrets – It is needed to create event based triggers. Basically it contains the credentials and service instance information of the enterprise messaging service. You can create a new function using the “Create function” command. By default, it would have a Hello World code. However, we need to attach a trigger to execute it. Under the Triggers tab, you can create a simple HTTP trigger and select the function name to execute. Upon successful creation, you’d have a HTTPS url which you can open in the browser. There it is ! A simple hello world app that we never coded. It was all a bit of setup and configurations done in minutes to have this running. Let’s print the request headers. Here we go ! Make sure you “Save and Deploy” the code every time you make the changes. thank you for sharing this detailed blog. It seems like it is the first one related to FaaS… I look forward to reading more like this one. i will also try to come up w one soon. Thanks ! 🙂 Many more use cases coming soon! The entitlement in your global account is not maintained accordingly. the account i set beta enabled on the first step as described by Hemchander. I tried on 2 diff trial accounts I have. Neither of them showed the functions section. what additional steps should i do on the The Entitlement sections. not sure if I understand you correctly, If you’ve done the entitlement step. When your new subaccount is created, go back to your global account, Click on “Edit” on top of the Entittlement page and set the quota for “Functions” to 1 for the recently created subaccount. After that your subaccount should show the “Functions” tile in the according Service Marketplace. I hope you were you able to set the entitlements ? I was away for a while sorry! After adding the quote we need to create the new Space “test” in the new account. Then only we will be able to go to Service Market Place. Please add this for the benefit of everyone.